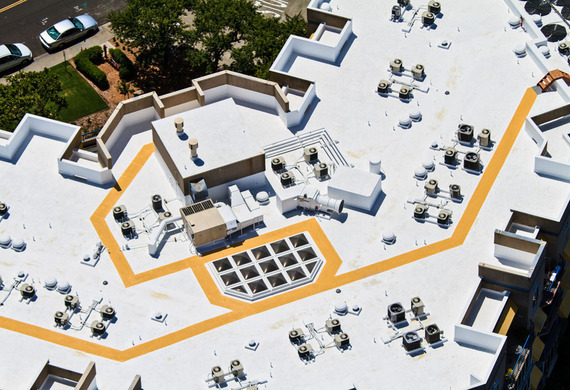 If you own or manage a commercial property, you know how much goes into the maintenance of your roofing system and how costly any repair or replacement can be. But your roof is an integral part of the health of your building, so when repairs or replacement becomes necessary, it’s important to ensure it’s done right. However, that can be easier said than done. Roofing estimates from multiple contractors won’t look the same and it can be hard to figure out which estimate to use. Sometimes the cheapest option isn’t the best. It’s essential that you understand what is in the roofing estimate and what isn’t, so you can be sure you are getting the best roof for the best price. There are a few factors that impact the cost of a commercial roofing project. From the type of roof that you’re installing to local code requirements, it’s helpful to understand what factors go into your estimate before you start working with a contractor. There are two main types of roofing: flat (or low-slope) and steep-slope. The type of roof that you install will dictate what materials or products your contractor uses. Ultimately, the type of roofing system you decide on and the quality of products installed will directly impact the lifespan of your roof and overall health of your building, so you’ll want this information in your estimate. Make sure you tell the contractors you contact for an estimate that you want a list of the products they will be using in their estimate. You will also want to know whether or not the products, as assembled, qualify for a roofing manufacturer’s warranty. The purchase of a warranty should be optional but the system specified should qualify. A finished roof is a combination of several components, including insulation layers and other substrate materials. If you’re replacing your roof, a professional’s estimate should identify any parts of your current roofing system that need to be removed or repaired (a moisture detecting scan may be required). Many roofing contractor proposals include a labor and material warranty for two years or as otherwise outlined by individual state requirements. You may also be able to purchase a warranty for a longer period of time. If you are unsure if the warranty is worth the cost, calculate the cost of a warranty against up-front savings of various roofing products. Sometimes the reimbursement from a warranty claim doesn’t compare with the value of a full replacement. A 30-story building is typically more difficult to access than a low-rise commercial structure. You’ll want to consider how supplies are delivered to the building and if any additional lifting equipment (or cranes) will be needed for a large project. If your building is occupied with tenants or retailers, you’ll need to consider how a roofing project will impact the daily operations for the people using your building. Make sure the contractor includes any special equipment in his estimate, along with any impacts to the building’s daily use. Will any of this work disrupt tenants to a degree that roofing work would need to be completed at nights or on weekends? Many of these accessibility issues have a direct impact on installation costs. The local climate and building codes have a significant impact on the kind of roofing system that you install, along with its cost. Building codes will dictate the level of insulation required, ventilation requirements and the types of roofing materials that can be used. If you live in a climate with severe storms and weather conditions, your local building codes might have additional requirements for windstorm or flood protection. The roofing professional that you work with should be aware of any local requirements and which permits are required for your project and, if they will impact the cost, include them in his estimate. The estimate should include as much detail as possible, so don’t be fooled by an attractive lower estimate that might exclude some items. Your roofer should be able to fully assess the amount of work that’s required and, if they’re experienced enough, will be able to give you accurate numbers on materials needed and staffing requirements. You can ensure you’re getting the most for your dollar by getting a few estimates from commercial roofing contractors and comparing their services. Check out their websites and any customer testimonials available. The National Roofing Contractors Association provides a directory of roofing contractors who are licensed and insured to work, to help building owners or manager find the best professionals available. And if you have any questions about their estimate, don’t be afraid to ask. If you need more clarification, ask. Make sure you are comparing apples to apples with your estimates. If you’re looking for a new roof for your commercial building or it’s in need of repair, there are solutions for building owners that need the job done right, the first time. 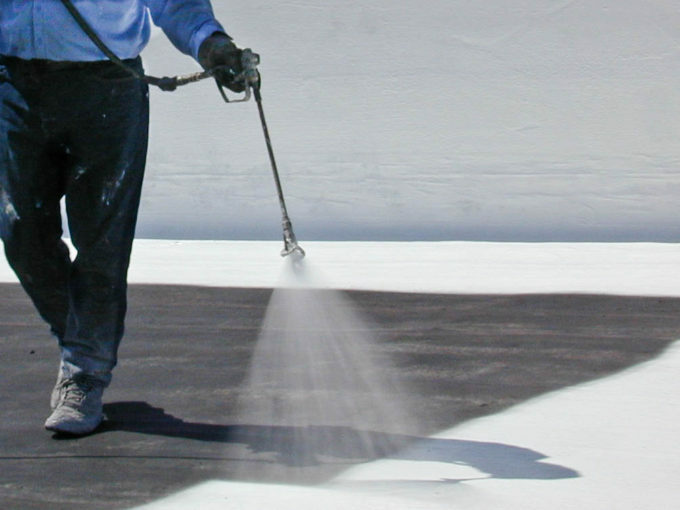 Western Colloid offers resources to property managers and owners, including a range of FM approved and U.L. listed products and experienced team members that provide information and solutions for commercial roofing. Getting a roofing estimate can be a source of frustration, but if you know what items to look for and understand the products and solutions available, you’ll get a smoother roofing installation and prolong the life of your building. 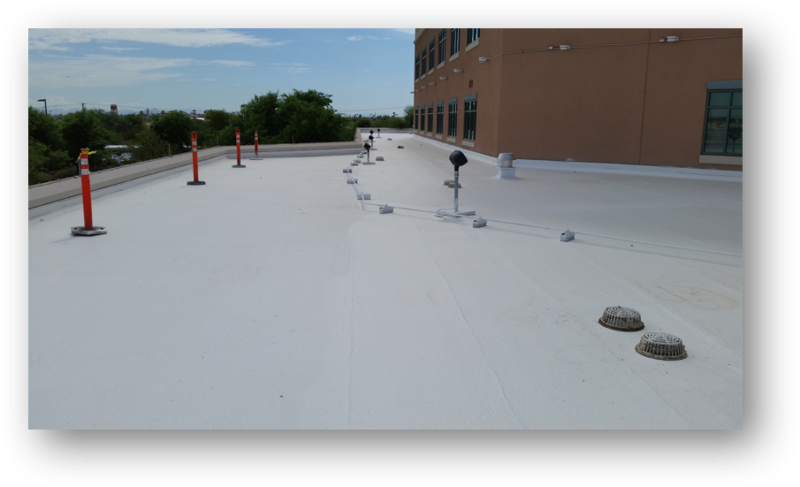 To learn more about Western Colloid and how we support property managers and building owners through the budgeting, bidding process and quality control phase during installation, click here.